So my question is should she has be contracted as she 's in the above example like in the examples found from google ngram to avoid confusion? 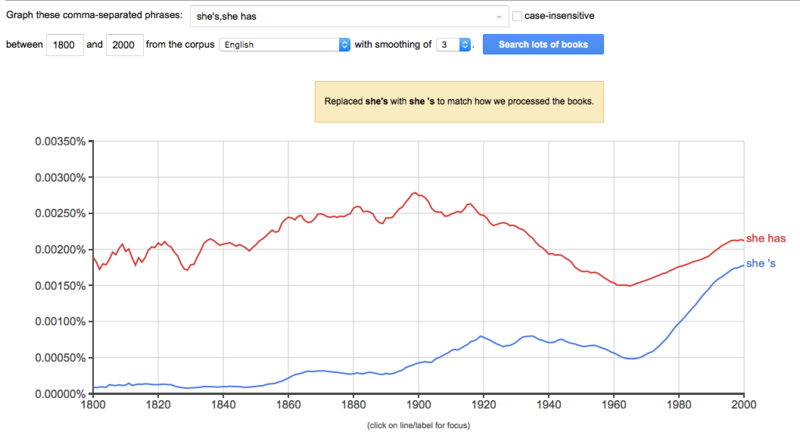 Google ngram hasn't been exactly consistent about this, sometimes using she 's to refer to she is and she has. Coming across the usage such as that from globalnews.ca does not look right to me and it wasn't until today I found out the she's means both she is and she has-- modern usages follow this pattern too. 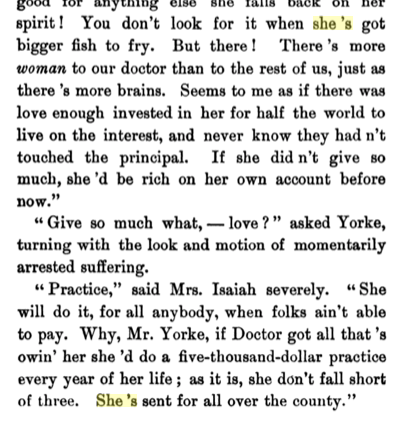 So as grammarians do you think the contracted form of she has should be she 's? *Although is and was are both be verbs, both have tenses relating to different time periods - the present and past. Simple answer: because that's the way English works. There is a certain amount of ambiguitity here, but the precise meaning can usually be determined by context. You'll notice that the same ambiguity exists with he and it is/has. Furthermore, it's (it is / it has) can also be confused with the possessive its (note no apostrophe)! There are no contractions (that I'm aware of) for was (the past tense). She was is always She was, but She had can be contracted to She'd. Not the answer you're looking for? Browse other questions tagged contractions elision . Does “he's” mean both “he is” and “he has”?